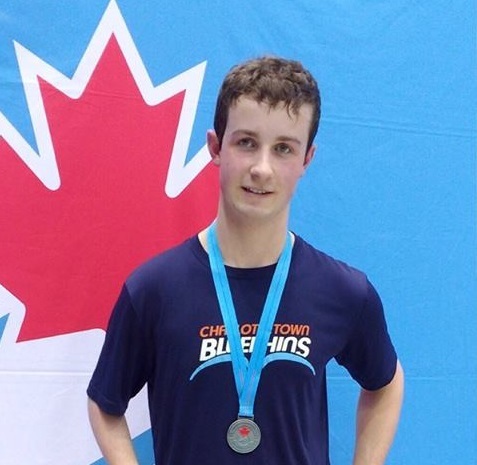 Greg Morrison is a Para-Swimmer with the Charlottetown Bluephins Aquatic Club. Morrison is the only swimmer from Atlantic Canada attending the 2018 U.S. Paralympics swimming Para Championships/ Can Am Open on Dec.14-16. The event is taking place in Tucson, AZ, USA this year. Morrison will be swimming in the following events: 50m freestyle, 100m freestyle, 400m freestyle, 100m breastroke, 50m Butterfly, 200m IM. Good Luck Greg at the 2018 U.S. Paralympics swimming Para Championships/ Can Am Open. #15 Westly Johnston began his basketball journey playing stand up basketball but after acquiring an injury switched to wheelchair basketball and immediately developed a passion for the sport and the community. Johnston has worked hard to steadily make a name for himself within the Canadian wheelchair basketball scene. He first started playing with the PEI Mustangs and has since competed for his home province at the 2015 Canada Games. In 2017, he made the jump to the national team has since been selected to attend the National Wheelchair Basketball Academy in Toronto. Athletes that attend the National Academy Program, since 2013, have gone on to represent Canada at the international level at the Paralympics and/or Senior World Championships. Athletes that are part of the National Academy Program train at Wheelchair Basketball Canada’s National Training Centre in Toronto, which is geared to enable rising stars to access optimized training, coaching, mentorship, and support services. Westley will be on the Canadian Men’s U23 National Wheelchair Basketball Team, the Toronto Rollin Raptors, Division 1, and has competed thus far in the 10th Annual Second City Showdown in Chicago and the 15th Kitakyushu Champions Cup in Kitakyushu, Japan. The 15th Kitakyushu Champions Cup tournament is aimed at developing future international stars and is an Under 23 men’s tournament, with the allowance of three over-age players in each team. He considers playing for his country to be the highest honour that an athlete of any sport can achieve and is excited to push Canada to the podium.